Golf’s most in-demand commentator and analyst, David Feherty breathes new life and depth into a sport that’s not typically known for lively action. Not only is the popular broadcaster bringing golf to new audiences, he is a fervent advocate for U.S. troops and individuals striving to overcome depression and drug addiction. 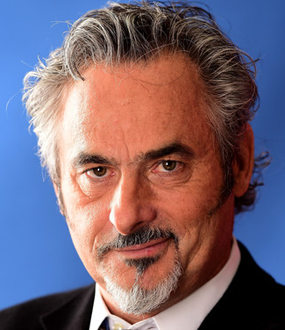 Funny-man Feherty enjoyed a lengthy career as a successful pro-golfer, seizing ten victories worldwide. In 1997 he traded in his clubs for a microphone, happily accepting a position as CBS’s golf reporter and analyst, revealing that the only thing he liked more than golf is talking about golf. Feherty’s colorful personality and verbal wit quickly made him a fan favorite, leading to the launch of his own television show, Feherty, on the Golf Channel. 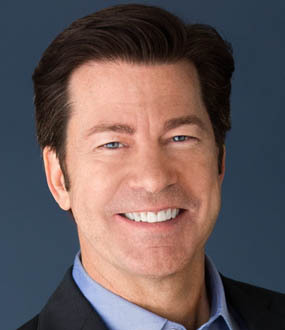 In 2015, he made the move from CBS to NBC, where as of 2016 he will be a full-time contributor to the network’s golf coverage. Outside his media career, Feherty has a respected reputation for trying to make the world a better place. He has gone to Iraq to entertain U.S. troops various times, an experience that moved him to cofound the non-profit organization, Troops First Foundation. Feherty and cofounder, Rick Kell, have created several programs and specialized events designed for Wounded Warriors and their families that address relationship building, mentoring, reintegration, and looking forward. In 2014 he received the Distinguished Citizen Award for his relentless efforts to improve the lives of U.S. troops and their families. Feherty enjoyed a successful professional career, with 10 victories worldwide and more than $3 million in prize money. 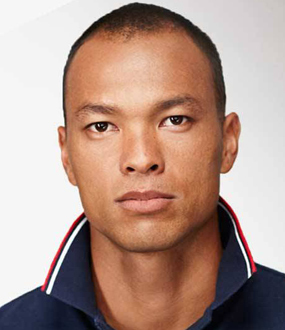 He was a regular on the European Tour, with victories including the ICL International, Italian Open, Scottish Open, South Africa PGA, BMW Open, Cannes Open, and Madrid Open. He captained the winning Irish team in the 1990 Alfred Dunhill Cup and played on the European Ryder Cup Team in 1991, an experience that rejuvenated his fervor for golf. In 1997, Feherty retired from professional golf when offered a position as a golf commentator for CBS Sports. “I always enjoyed talking more than playing, and now CBS is paying me for what I like to do most.” Thanks to his sharp wit and colorful personality, David has become golf’s most irrepressible personality and a viewer favorite. But for Feherty, his most fulfilling activities are on behalf of badly injured U.S. troops. 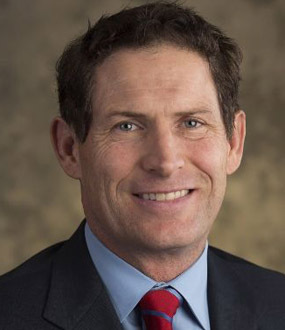 In 2005, he was part of a Thanksgiving goodwill tour to Iraq and returned with a new mission, determined to do something to better the lives of those he calls “American heroes.” Subsequently, he founded the “Troops First Foundation,” which among other good deeds works with wounded soldiers who come home without limbs or have been severely disfigured. That first trip to the Middle East and subsequent others have inspired him to become an American citizen, a goal he obtained in 2010. David Feherty discusses how the media coverage of military interventions in Iraq and Afghanistan did not line up with his personal experiences there. He details that news channels wrongfully covered the soldiers in negativity, while neglecting to capture the dignity and honor they demonstrated in the line of duty. Hilarious and outspoken, David Feherty brings joy and smiles to audiences across the country. In addition to being one of golf’s most prominent voices, Feherty is one of the strongest celebrity advocates working to raise awareness on bipolar disease, drug addiction, and the conditions and challenges facing U.S. troops in the line of duty as well as when they return home. Feherty speaks where he thinks he can make a difference: he has been the keynote speaker at several fundraisers benefitting various charities such as the Ronald McDonald house and rehabilitation centers. Sports speaker David Feherty discusses life as a golfer and commentator, using humor to discuss some of the more comical moments from life on the PGA Tour. David talks about funny stories and players on the PGA Tour, his playing career and being on the European Ryder Cup team. He uses humor throughout the speech. A look into the heart, as well as the head and life, of golf's sharpest wit. Meet a character only David Feherty could create, Major General (Ret.) Sir Richard Gussett, his riotous imaginary uncle who presides over “Scrought’s Wood,” the world’s most cantankerous golf club. In this first volume of his misadventures, Gussett sets his sights on the most prestigious prize in golf, the petrified middle finger of St. Andrew, patron saint of Scotland. 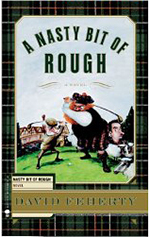 Gussett must motivate his merry band of members through battles with incontinence, single malt Scotch, peculiar handicaps, and a litany of other unmentionable afflictions in order to seize the finger in a “friendly” competition with their ancient rivals, the dreaded and notorious McGregor clan. Feherty’s fanatical fan base will rejoice, the driving range addicted will tee off, the USGA will have “no comment,” and anyone who loves the game or knows someone who does will be unable to resist Feherty’s storytelling and golfing gravitas. From David Feherty, the notorious ex-pro and golf commentator at CBS Sports, comes a hilarious new collection of rants sure to surprise and crack up hackers everywhere. In The Power of Positive Idiocy, readers will be treated to Feherty’s distinctive commentary on aging, Texas, women on the golf course, the Irish, parenting, addiction, Charles Barkley, and, of course, every pro golfer and golfing situation you’d ever want to read about. He also graciously (or in some instances unforgivingly) answers his fans’ questions and passes on his unique and demented perspective. Don’t say you haven’t been warned.